Mass of Christian Burial will be celebrated Thursday at 11:00am in St. Thomas More Church 105 Gravity Rd. Lake Ariel. Friends may call Thursday from 10:00am to 11:00am at the Church. Interment, All Saints Cemetery, Hollisterville. Florence “Bobbi” Holevinski of Jefferson Twp., passed away early Monday morning at the Good Shepard Rehabilitation Unit at Wayne Memorial Hospital. Born January 30, 1931 in Jefferson Twp., daughter of the late Adam and Mary Ognosky, Bobbi was a Jefferson Twp., farm girl who met the love of her life, Edward M. Holevinski in elementary school. Bobbi and Eddie celebrated 67 years of marriage in May. 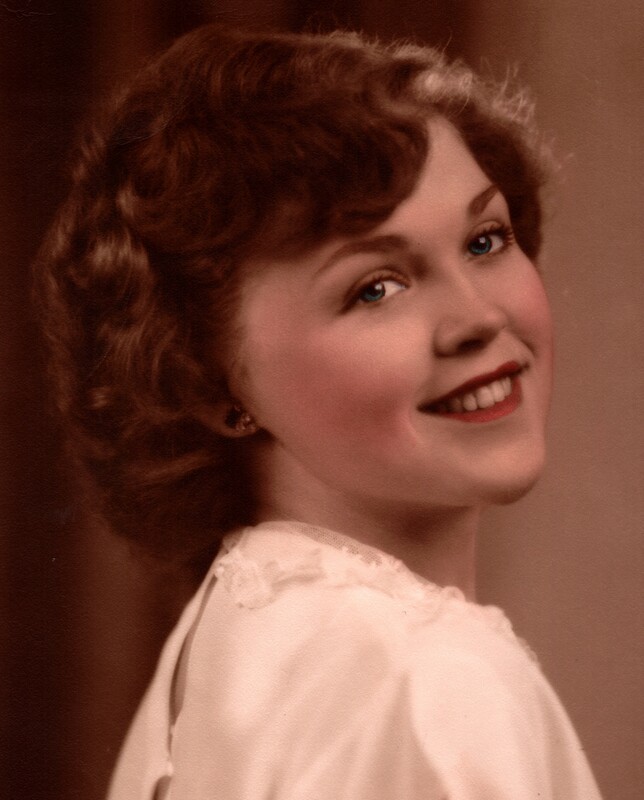 Known as one of the most beautiful women of her era, Bobbi worked in several sewing factories throughout her life, however she felt her most important job was raising her beloved children. Surviving are children Sandra H. Digan and her husband James of Bethesda, MD, Edward C. Holevinski and his wife Aimee of Lake Ariel, Matthew Holevinski and his partner Peggy McLaughlin of Sterling, Marie Semian of Jefferson Twp., and Deborah Brooks and her husband Bruce, Jr. of Lake Ariel; a fiercely devoted grandmother, she is survived by Wesley J. Holevinski and his fiancé Kristin Revell, and great granddaughter Leona Rampage, Amanda Holevinski, Jacob Holevinski, Christopher Brooks, Dakota Brooks and his wife Lauren, Dustin Brooks, Matthew Digan, Shane Howe, Alex Howe and his wife Nicole, and Colin Howe; her loving sisters Virge “Mickey” Bochicchio of Waterbury, CT, Jeannie Ognosky of Wolcott, CT; a sister in law Agnes Ognosky, Sanford, FL; brother in law Anthony Holevinski of Canisteo, NY; and many nieces, nephews and cousins; her dear friend Ursula Guglielmo. Bobbi was preceded in death by her daughter and little angel Patricia “Patti” Holevinski; brothers Adam and John Ognosky; sisters Bridgette Ognosky, Mary Gelesky, Julia Kovaleski, Anna Polcha, Stella Konopka, and Agnes Polcha. The family would like to thank Dr. Kevin H. Olsen, the 8th Floor Nursing Staff at Regional Hospital and the caring nurses, therapists, and staff at Good Shepard. Mass of Christian Burial will be celebrated Thursday at 11:00am in St. Thomas More Church. 105 Gravity Rd. Lake Ariel. In lieu of flowers donations may be made to the American Heart Association www.heart.org or at 7272 Greenville Ave. Dallas, TX 75321 or to the donor’s favorite charity.